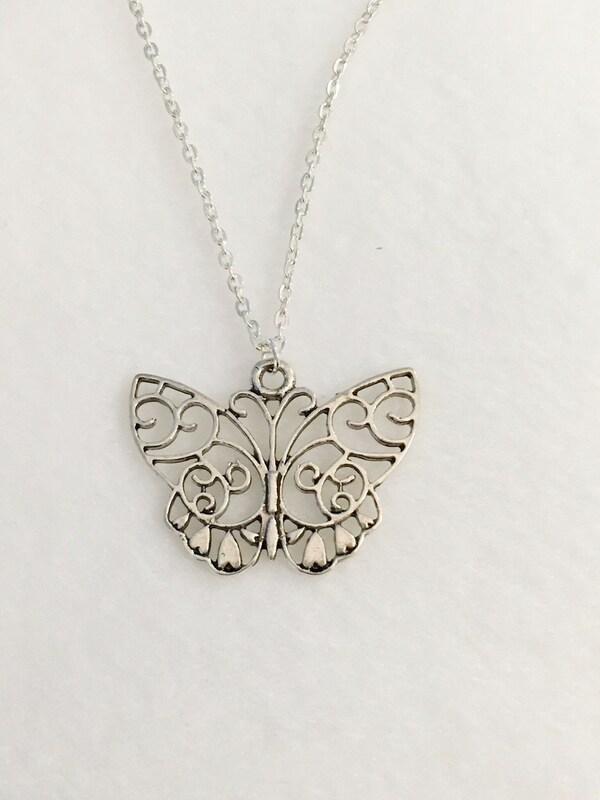 When butterflies appear angels are near is such a cool idea to me and I really believe it! 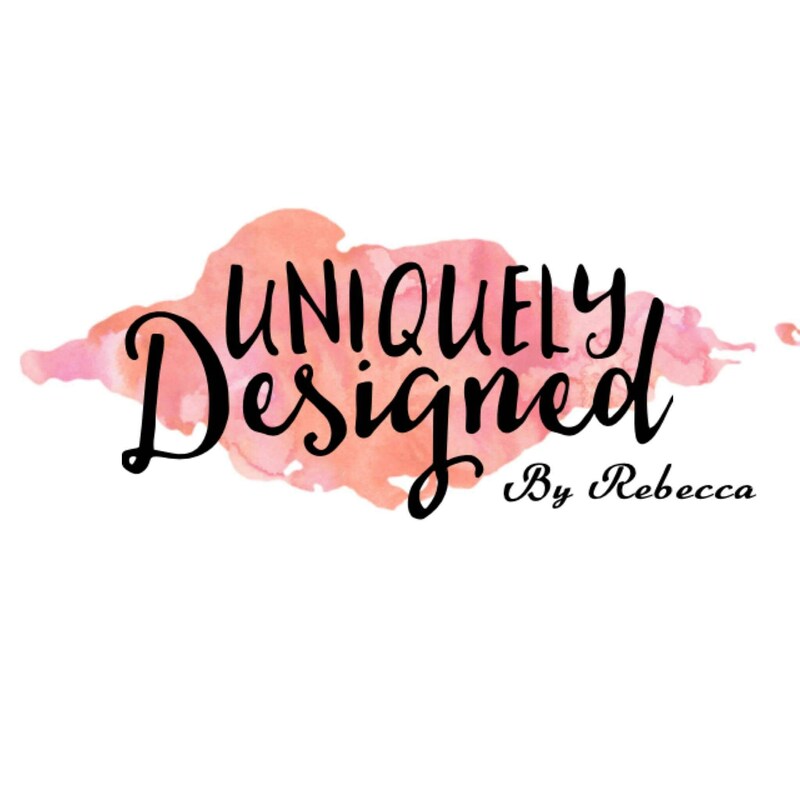 When I see a butterfly hovering close by, I believe I am among those I love that are in heaven. 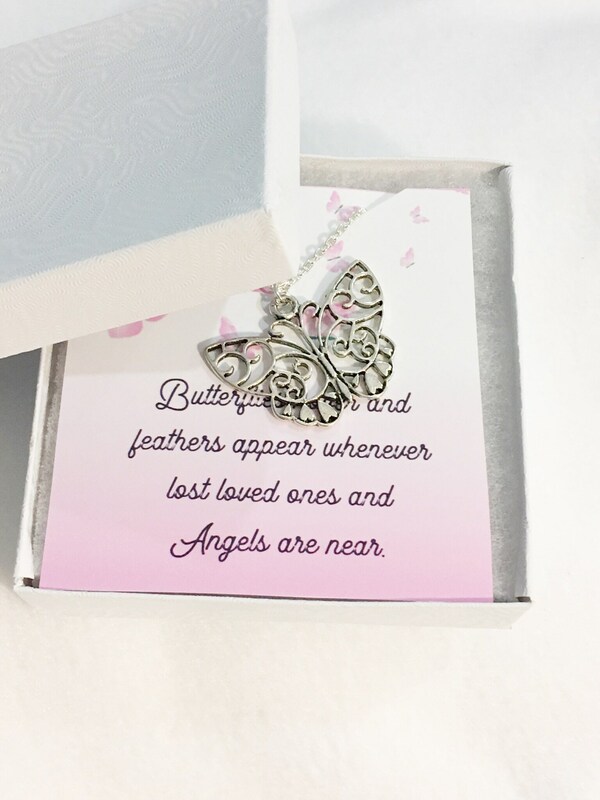 This is a simple yet delicate butterfly memorial necklace that is sure to please! 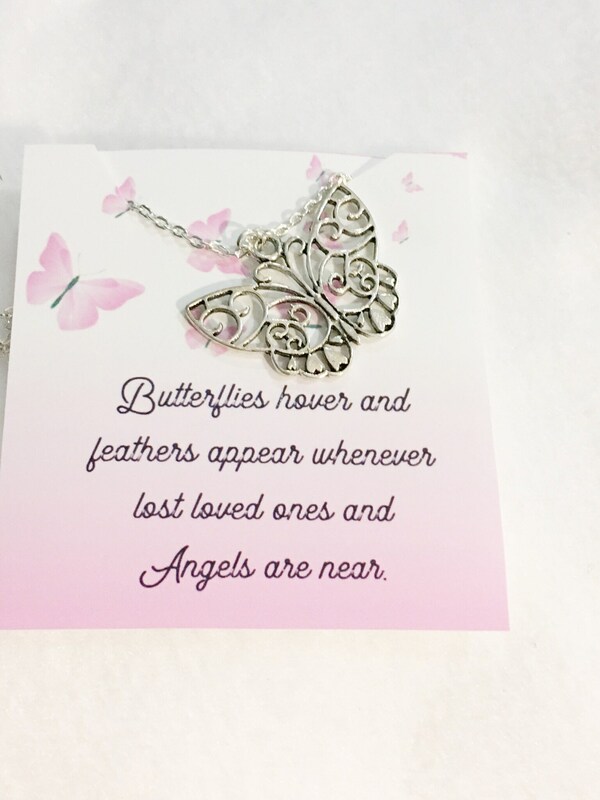 It could be for yourself or a gift for someone you love who has lost someone. 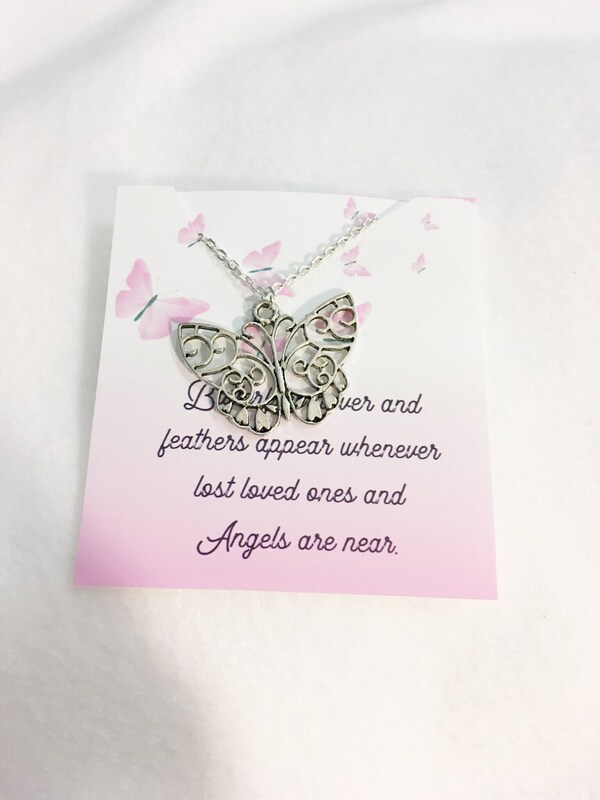 Even as a pet memorial gift!